Real Estate and Capital Markets. 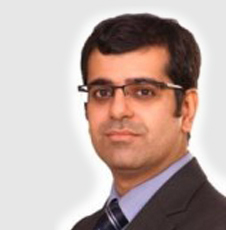 Vaishakh Kapadia started working with a reputed law firm in 2001 and gained experience with the litigation, corporate and real estate team. Vaishakh joined corporate and real estate practice of ALMT Legal in 2005. Vaishakh was seconded to the London office of ALMT Legal in 2007. Vaishakh was promoted to a Senior Associate in 2008 and thereafter a Partner in 2012. Vaishakh has over 15 years of experience in advising Indian and international clients on corporate matters. He specialises primarily in private equity investments, joint ventures, mergers and acquisitions. Besides this, Vaishakh advises on exchange control regulations, outbound investments from India, foreign investments in India, incorporation of entities in India, real estate matters and compliance issues. Vaishakh is a member of the Bombay Incorporate Law Society and is admitted to the Roll of the Supreme Court of England & Wales. Legal 500 - Vaishakh is recommended in Legal 500 for Corporate and M&A.